EFYates – We can fix that, guaranteed. Welcome to E.F.Yates Construction, Inc.
We know Mother Nature and unexpected damage has no time schedule. 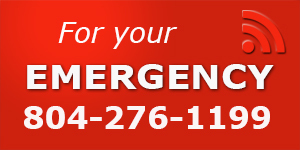 If you require immediate service, please call our Emergency Hotline and we’ll get right back to you no matter how small the damage. E.F. Yates’s tarping system is second to none. At E.F. Yates we understand the emotional toll associated with unexpected damages to your home or business. No matter how bad it looks, don’t worry. We can rebuild it! Click on the button above to be taken straight to our contact page where you can send an email describing your damage and receive a reply within 8 regular business hours. “My wife and I suffered considerable fire damage to our home. We chose E.F. Yates Construction because they stood out among the competition due to their experience and references from former customers. The repairs to our home included sheetrock, plumbing, electrical, carpeting, painting and siding as well as installation of fixtures and appliances. Excluding the time spent dealing with the “red tape” in the claims process, the project was completed in a timely manner. We were back in our home in no time once the job was started. 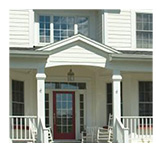 We would recommend E.F. Yates for any home construction project. This review is long overdue. Last July, we had an unfortunate house fire that caused much damage to our home. Our homeowners insurance had listed EF Yates as one of their preferred general contractors and we decided to go with them. It was one of the best decisions we’ve ever made. EF Yates is not a large contractor, nor are they small, but they were the perfect choice for us. They assigned Dennis McLane to our project and he was phenomenal from start to finish. He could tell we were distraught from the fire and he did his best to put us at ease. Throughout the rebuilding, Dennis went the extra mile to provide a personal touch that not only made us whole from the fire, but actually made our home better than it was before. That is very uncommon in today’s world. Dennis worked tirelessly with the insurance adjuster to make sure our home got the level of care it needed. 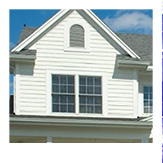 Additionally, the entire crew that worked on our home was knowledgeable and professional. We felt very comfortable with them coming and going as they needed without any concerns over our safety or our belongings. They all demonstrated incredible integrity. 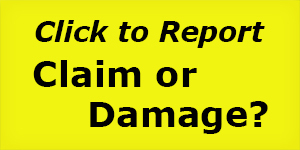 Hello, I recently filled a claim with you after a tree fell on my house during Storm Saturn. Our insurance adjuster was Mr. Buyalos who was very professional, knowledgeable and made us feel as though we were in good hands. I am writing you today regarding E. F. Yates Construction Inc., the contractor who repaired our roof. Coming from a Customer Service background, I know that customers rarely take the time to write letters unless they have a complaint. In my case, I am writing you to let you know that this company was outstanding. Just minutes after contacting them, they were at our house putting a tarp on the roof (while it was still raining), they provided us with barrels to catch the water inside the house and they called a tree guy who removed the tree that dad only fallen a few hours earlier. The next day E.F. Yates came by to re-enforce the roof and re-tarp it until things were squared away between the two of you. When the work began, the team was always on time, friendly, neat and willing to go above and beyond (they even helped me with a couple of things around the house that were not related to their jobs). This kind of service is rare, so I wanted to take the time to let you know about them. We recommend:E.F. Yates, Construction Inc.
I’m writing this letter to you in regards to your employees who worked tirelessly getting my home restored after the fire. It has been a very stressful time for me as the fire happened just 6 weeks after losing my husband. Your guys were very respectful and attentive to my needs. The went above and beyond their jobs to see that everything was done in a reasonable amount of time. You are lucky to have the team working for you. I hope you will commend each and every one of them. They truly deserve it. Eddie, Dennis, Gerald, Lenny, Abdul, Wayne and Kevin — I owe a lot of gratitude to each and every one of them. I want to inform you pleased we are that Matt Torrence, of Foster Plumbing, recommended your company to us. We had already relocated to North Carolina when our home, which was under contract to be sold, was severely damaged by a fire. Our State Farm appraiser also spoke very highly about your company. I am a worrier at heart and have been dealing with this whole situation from afar. This would have been a serious problem for me had it not been for Dennis McClane. 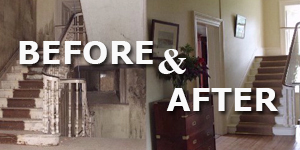 Dennis made me feel comfortable with the restoration of our home throughout the entire process. He also consistently kept us informed, and promptly returned my phone calls. The buyers of our home had requested some changes to be made during the rebuild. We agreed to these changes and Dennis made sure they were accommodated. I will always speak highly of E.F. Yates and Dennis McClane. Becky was also a pleasure to deal with. Communication is the key and we strive to ensure that all construction processes are understood. 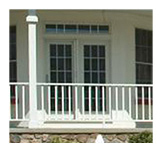 We work from the smallest detail up, so coordination will not slow your restoration project. Service is our hinge pin. Great service ensures great finished products. Our emergency services are well thought out and designed to provide you the security and peace of mind when you are living through a temporary situation. We stand behind our work with a Five Year Warranty.